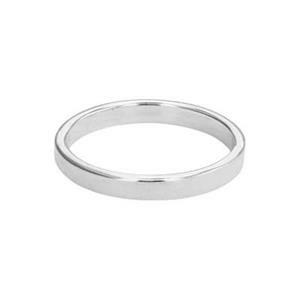 Sterling Silver 3mm Finger Ring Bands, Size 7. Can be used as ring blanks for jewelry stamping. Surface is nearly flat and will take good impressions from small metal stamps. Perfect for what I wanted! Looking to develop metal smith skills, this lets me practice hammering without having to solder!